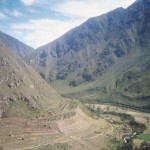 Photo of the week: Inca farm on the Inca trail hike to Machu Picchu, Peru. 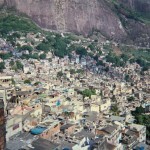 Photo of the week: View of the flavela in Rio de Janier, Brazil. 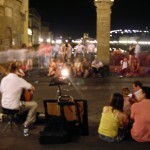 Photo of the week: Couples listening to music at Ponte Vecchio in Florence, Italy.